During our time living in Koh Samui, we witnessed an awe inspiring sunset every single day and each day we watched as an elusive sail boat made its voyage around the island. That boat is the Red Baron. I’ve been enchanted with this boat since I first laid my eyes on it. 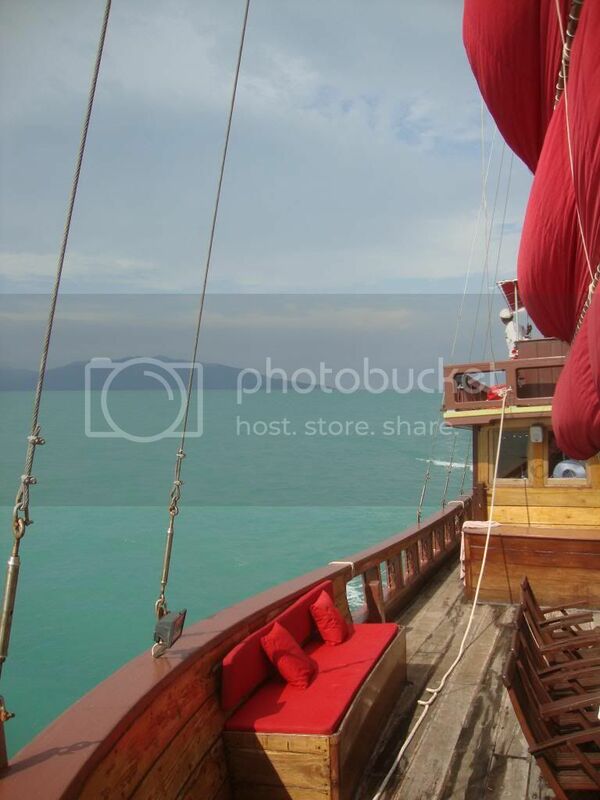 With its old wooden junk boat style and crimson red sails, it looks like a romanticized pirate ship gracefully making its way around the turquoise waters of the Gulf of Thailand. When The Red Baron offered to host Harry and me on a day’s sailing trip, I was elated! My chance to experience this magical boat was here – and I was not disappointed! From the moment we stepped onto The Red Baron I felt like a princess. The crew was so inviting and greeted us with a warm smile and a freshly squeezed juice. As my eyes explored the cabin, it was everything I could have hoped for and more. 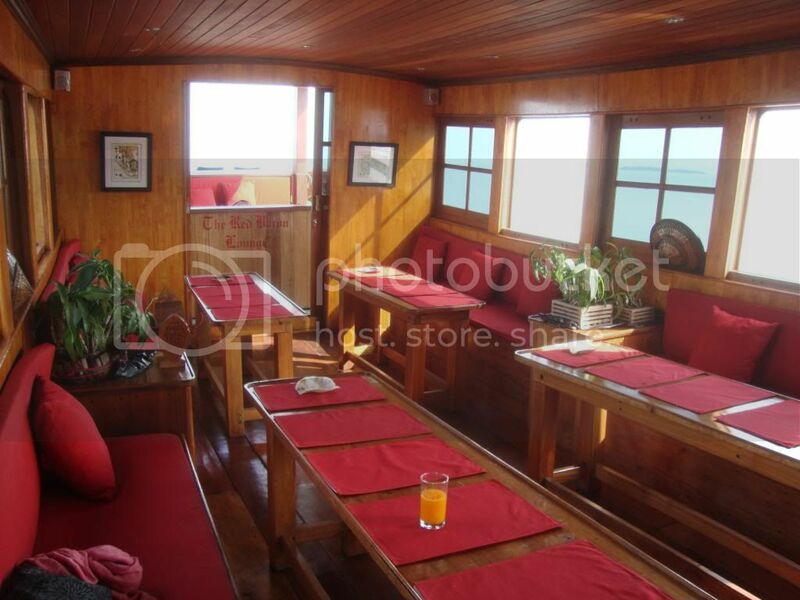 From the sophisticated interior to the contemporary sun deck, the boat’s design and styling was absolutely beautiful. After a charming briefing by the boat’s kind and friendly owner, the day began with a yummy fresh breakfast of eggs and ham as we began the day’s trip. 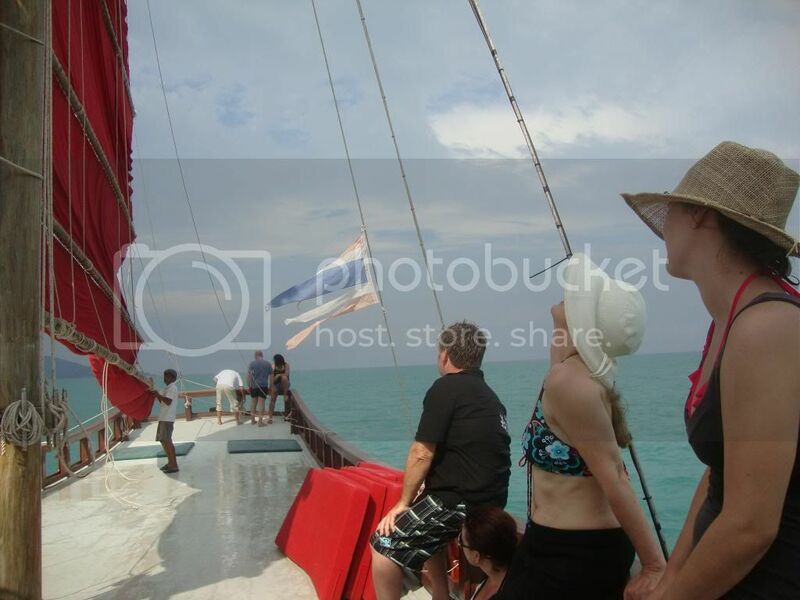 Everyone became acquainted as we enjoyed the sailing journey that led us towards Koh Samui’s neighboring island of Koh Phangan. 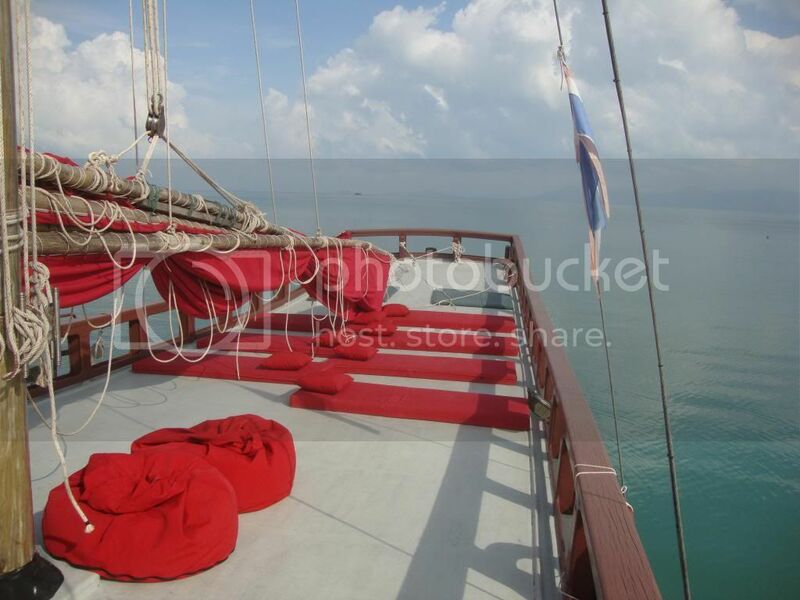 The guests were all mesmerized with the scene that lay before us as we approached the lush green island most famously known for its Full Moon Party. What many people don’t realize is that the island’s beauty far surpasses its backpacker reputation. We stopped for a snorkel on a small bay on the east coast of the island which isn’t easily accessed by road. The setting was marvellous. 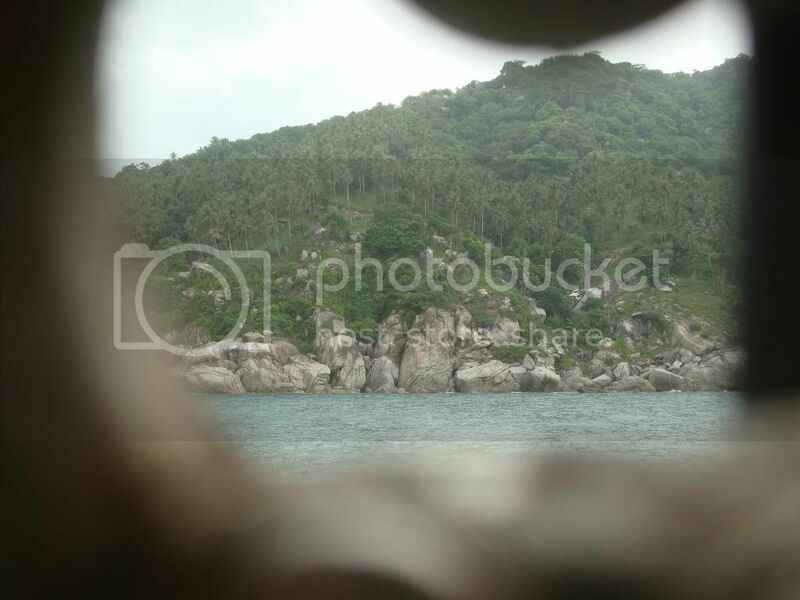 Even though I’m familiar with Thailand’s stunning ocean and I’ve been to Koh Phangan several times, I was just as captivated by the view as everyone on the boat. One of the members of the tour was so moved by the moment that he felt a surge of motivation from the picturesque setting and on an impulse – proposed to his girlfriend! What an epic location for a marriage proposal! 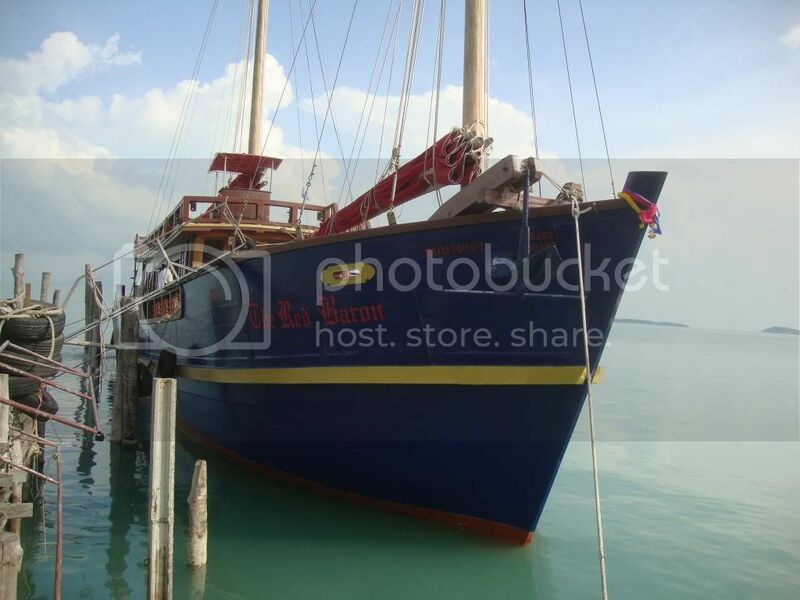 The Red Baron truly offers romance and luxury in the beautiful Gulf of Thailand. After a filling and delightful Thai lunch, we made our way back to Koh Samui. And finally, the moment we were all waiting for – the red sails came down and everyone’s face eagerly lit up! We all felt the same way. 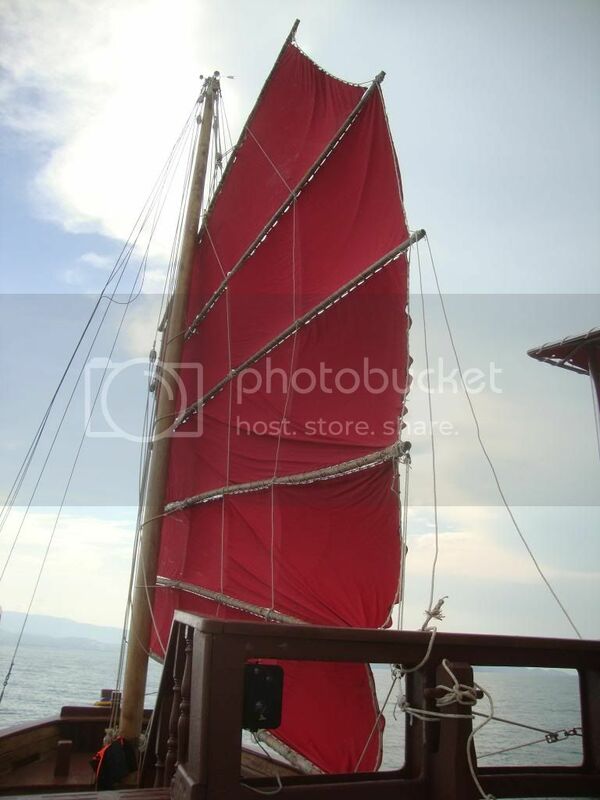 It was our turn to be the guests on the elusive boat with the red sails. It was so dreamy! 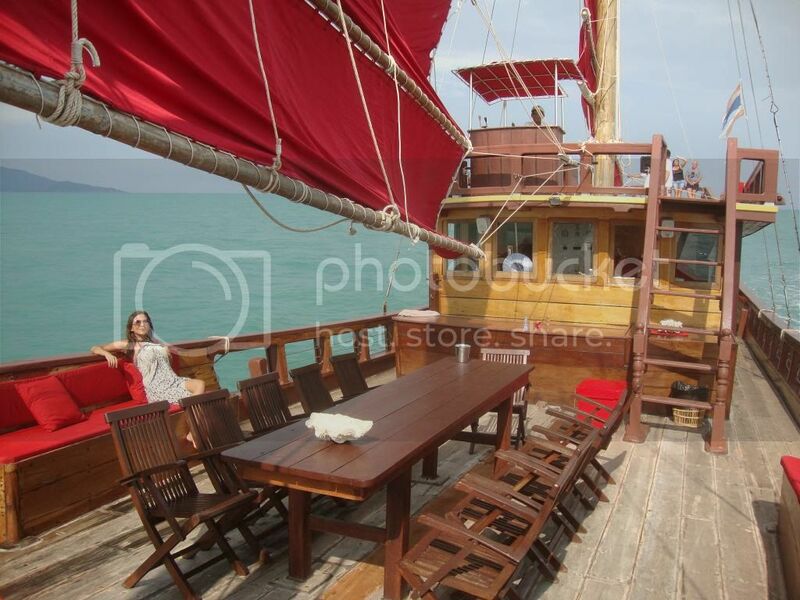 When we finally stopped taking pictures of the beautiful boat, the guests each found their own nook on the spacious deck to feel the wind, the sun, and embrace the moment. I tried my very best to lock way the memory of that afternoon so I would never forget it. I promised myself I would not leave the island without sailing on The Red Baron. I’m so thankful I did and would gladly recommend the experience to any traveler going to Koh Samui. I didn’t receive a payment for this review and while the trip was complimentary – the dreamy experience was truly extraordinary! Thank you to the crew at The Red Baron for sharing this wonderful experience with us. We took the sunset cruise on the Red Baron on the last night of our holiday in Koh Samui and are so glad that we did! The boat is a beautifully crafted replica of a traditional junk and we went under sail from Fisherman’s Village on a two and a half hour trip that took us into the sunset. We were served a delicious cocktail to start, followed by delicious food – way more than we were expecting! The hospitality and ambience were truly memorable. On our next visit to the island we will certainly do one of their full day trips. I would strongly recommend this trip to anyone visiting Koh Samui.